Mayor Boughton and the Board of Education violated the city charter (and the local media could care less). It appears that Mayor Boughton and Board of Education chairwoman Sandy Steichen have no problem violating the city charter when it suits their needs. This week, the Republican controlled Board of Education presented and approved a budget proposal that includes a request for 5.98 percent (aproox. 6 million dollar) increase in spending. While I have plenty to say about the BOE's laughable budget proposal, a proposal that not only has ZERO chances in becoming reality but should anger every parent who is concerned about the quality of education in the city, for purposes of this post, I want to focus on the decision-making of the newly elected and controversial BOE chairwoman, a mayor who has LONG proud tradition of violating the city charter, and an education beat writer who has a LONG track record of overlooking problems within the BOE. Here's what News-Times "reporter" Elieen FitzGerald wrote about the BOE budget approval...not the section in bold. The proposed budget represents a $6 million, or 5.98 percent, increase over the current budget. The city charter requires the board to submit a plan to the mayor by Feb. 15, but Boughton gave them an extension. While this all seems fair at first glance, there's one slight problem...per city charter, when it comes to budget proposals, the mayor does not have the right to extend any deadline for any department. Here's the section of the city charter that pertains to the budget...the portion that involves the responsibility of the BOE is highlighted in bold. The Mayor shall compile preliminary estimates for the annual budget. The head of each department, office or agency of the City as described in Section 7-1 of this Chapter, including the Board of Education, shall, not later than February 15th or the next business day thereafter if February 15th shall not be a business day, file with the Mayor on forms prescribed and provided by him, a detailed estimate of the expenditures to be made by the department, office or agency and the revenue other than tax revenues, to be collected thereby in the ensuing fiscal year and such other information as may be required by the Mayor or the City Council. a. A budget message outlining the financial policy of the City government and describing in connection therewith the important features of the budget plan indicating any major changes from the current year in financial policies, expenditures and revenues together with the reasons for such changes, and containing a clear general summary of its contents. b. Estimates of revenue, presenting in parallel columns the itemized revenue collected in the last completed fiscal year, the receipts collected during the current fiscal year prior to the time of preparing the estimates, total revenue estimated to be collected during the current fiscal year, estimates of revenue, other than from the property tax, to be collected in the ensuing fiscal year, and a statement of an estimate of available surplus. c. Itemized estimates of expenditures, presenting in parallel columns the actual expenditures for each department, office, agency or activity for the last completed fiscal year and for the current fiscal year prior to the time of preparing the estimates, total expenditures and estimated for the current fiscal year, and the Mayor’s recommendations of the amounts to be appropriated for the ensuing fiscal year for all items, and such other information as may be required by the City Council. The Mayor shall present reasons for his recommendations. d. The Board of Education shall have the same duties and follow the same form and procedure with respect to the budget of the Board of Education as required of the Mayor in Section 7-2 of this Chapter for other departmental estimates. e. As part of the budget, the Mayor shall present a program to the City Council for adoption, additions or deletions no later than February 15th that has been previously considered and acted upon by the City Planning Commission in accordance with Section 8-24 of the General Statutes, as amended, concerning municipal improvements, of proposed capital projects for the ensuing fiscal year and for the five fiscal years thereafter. Estimates of the costs of such projects shall be submitted by each department, office or agency annually in the form and manner prescribed by the Mayor. The Mayor shall recommend to the City Council those projects to be undertaken during the ensuing fiscal year and the method of financing the same. f. As part of the budget, the Mayor shall present to the Council the data required to be presented to the Mayor by Section 7-1. No where in the charter does it state that the mayor has the ability to grant an extension to any department when it comes to budget deadlines...including the Board of Education whose proposal represents over 50 precent of the city's overall budget. It's impossible for anyone who follows local politics to believe that Boughton and BOE chairwoman Steichen didn't know that they violated the city's charter. Adding to the lack of accountability is a reporter, whose responsibility is to overlook the decision-making of the BOE, refusing to call into question why charter was violated and why it took so long for the BOE to present and approve a budget proposal in the first place. 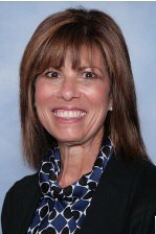 Given the outlandish barrage of criticisms Steichen directed towards for the previous BOE chairwoman's leadership last year, her inability to provide a budget proposal on time AND in violation of the charter reeks of hypocrisy...but most people have no clue of this nonsense because the reporter assigned to covering the BOE routinely overlooks these matters. The public has a right to know what is REALLY happening within the BOE...and it appears that the education beat reporter for the News-Times doesn't share in that viewpoint. 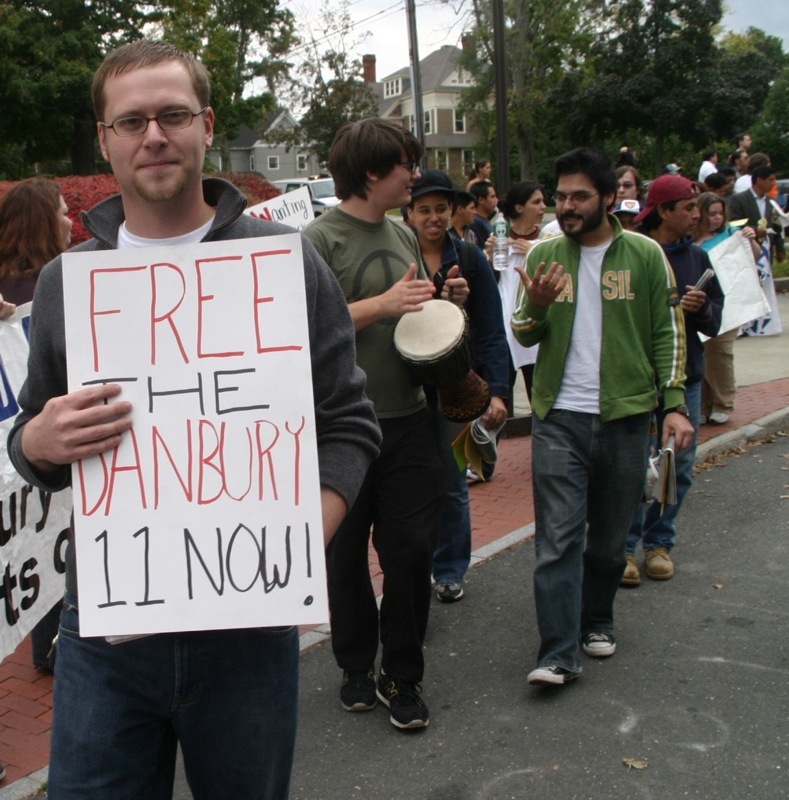 Lets just say that I'm happy another reporter has experienced my frustration with City Hall when it comes to the city of Danbury complying with the Freedom of Information Law. Recently, my friend Andy Thibault had to deal with the hoops and red tape officials at City Hall put people through when it comes to the disclosure of PUBLIC documents. Connecticut’s Freedom of Information law was once the pride of the nation. It has withstood numerous assaults by judges, legislators and other officials with plenty to hide. We, the people, do not yield sovereignty to the agencies that supposedly serve us. We do not give public servants the right to decide what is good for us to know. How often do you think this principle of self government is violated on a daily basis when citizens request a viewing or copies of the public records they rightfully own? It depends on factors including what municipal or state office you enter, the demeanor of the public servants and the leadership. Some people actually believe in public service. They tend to be hospitable, even pleasant and helpful. Others act as if you have three heads or are a scout for Martians who are about to vaporize the building. They are backed up by lawyers well-practiced in the delay, deny, delay game. These words were uttered to my colleague Jack Coraggio of the Litchfield County Times and me during a recent visit to Danbury City Hall. In what seemed to be a practice and perhaps a policy of intimidation, we were told that even the most rudimentary requests must be presented in writing and reviewed by a lawyer. This gave me new appreciation for lawyers as creators of fiction. They love to dance around the requirement of the law that documents must be produced promptly. As a practical matter, this means documents must be produced immediately, unless the agency can prove that this would interfere with the normal course of business. Hmm. Why would privileged or exempt material be held in a public file? If that’s the case, then the small army of lawyers ensconced therein is providing ineffective assistance of counsel. For most of the life of Connecticut’s FOI law, citizens could confidently state they were not required to give their name and that verbal requests for documents were sufficient. Then came a faulty ruling in 2011 by the state’s Appellate Court that is being applied over broadly. The Appellate Court, in defiance of the FOI law’s plain meaning, upheld the denial by a zoning commission to produce public records following a verbal request at a meeting. So much for legislative intent: Some judges will shaft the public’s right to know whenever they get a chance. The Appellate Court also failed to give customary and appropriate deference to the FOI Commission’s application of the law in this narrow and horrendous ruling. As a remedy, the FOI Commission has proposed a bill that would affirm the right of sovereign citizens to receive documents promptly via verbal requests. This is among many corrective measures that the Legislature should adopt forthwith. If the governor and the legislature are truly serious about the public’s right to know, they could also beef up the fines. The current maximum fine is $1,000. That should be doubled, tripled or maybe even given another zero. Public servants who knowingly violate the public’s right to know should be personally accountable. Why does a hungry person who steals a loaf of bread get in more trouble than a public official who steals, hides or destroys public records? The FOI law and its application have been under intense siege in the last decade. The public’s right to know will continue to deteriorate unless citizens and journalists demand adherence to the intent of the FOI law as stated in the preamble. Anyone who has ever requested access to public documents at City Hall can appreciate Thibault's frustration. Until someone challenges the ridiculous tactics used Mark Boughton's ilk at City Hall whenever someone files a Freedom of Information request, the stonewall tactics will continue to go unchecked.